The Volk Racing GTP Daytona are one piece JDM Wheels by Volk Racing, Rays Engineering. The Volk Racing GTP Daytona are actually one piece versions of the regular Volk Racing GTP, which is a 6 spoke 2 piece wheel. Both share hidden lug nut design with a threaded hex cap. The Volk Racing GTP Daytona are made of forged aluminum. 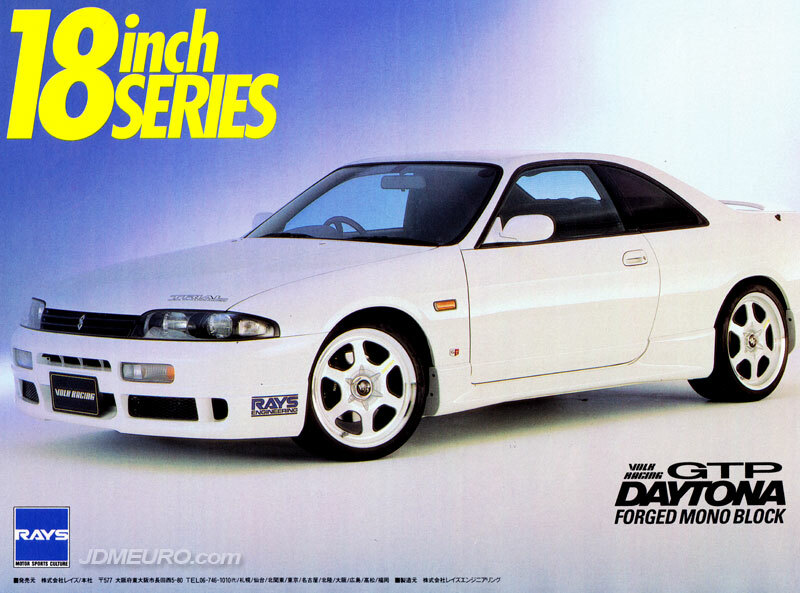 Shown are the Volk Racing GTP Daytona on a R33 Nissan Skyline GTST.